In anticipation of her current headlining tour and her upcoming support tour with Kacey Musgraves, Sophie Allison, aka Soccer Mommy, has shared the demo for “Blossom” and the b-side “Be Seeing You” on Thursday. The latter was previously only available physically as a b-side to her “Last Girl” 7-inch on Bandcamp. Both songs bring the tender intimacy we’ve come to associate with the Nashville native, like a love note pressed between the pages of a book. The demo of “Blossom” brings a more lo-fi sound than the iteration heard on Soccer Mommy’s acclaimed debut album “Clean”. Allison fills space with her omnipresent chorus of “oohs” versus the sharp clarity of the instrumentation in the album version. She made this demo for “Blossom” in her college dorm before i even knew “Clean” would exist, I was always really happy with it. “Blossom” was one of the first songs I wrote for Clean. It was before I even realized Clean was going to exist. I was always happy with the demo—it got made in the basement of my dorm room when I was still in college. “Be Seeing You” is an even older track. It was made as a single with the original recording of “Last Girl” but it was never put on streaming. It’s an old favorite of mine so I’m happy to see it get released everywhere. Soccer Mommy announced a new 7″ single. 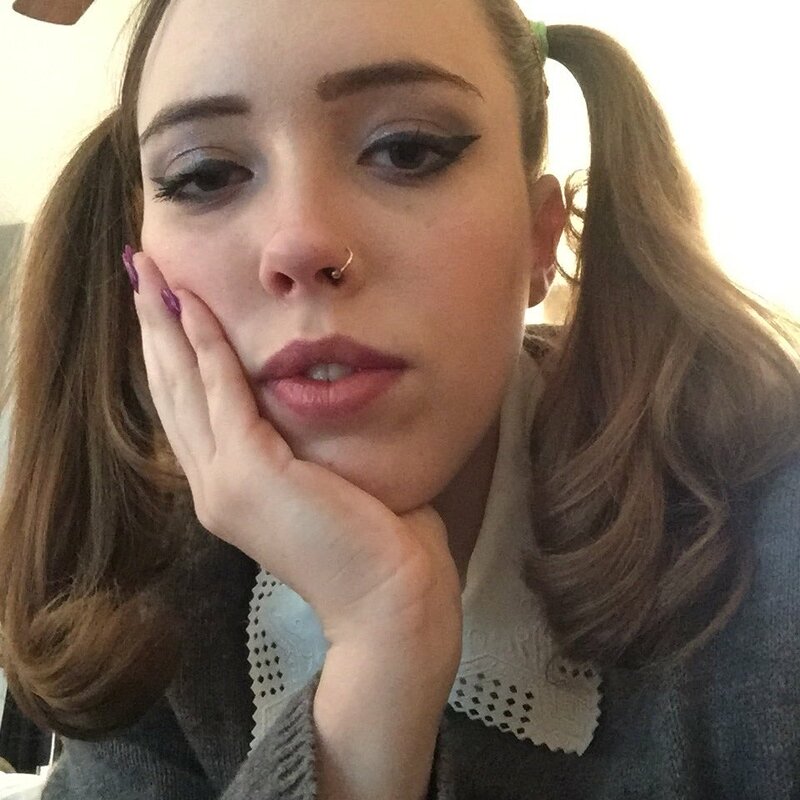 The single’s A-Side is a newly reworked version of “Henry,” a song that originally appeared on Soccer Mommy’s 2016 collection For Young Hearts. The B-Side is a cover of Bruce Springsteen’s “I’m On Fire,” a live show highlight that now has a long-awaited studio recording. The cover was previously only experienced live and has therefore been long-awaited. 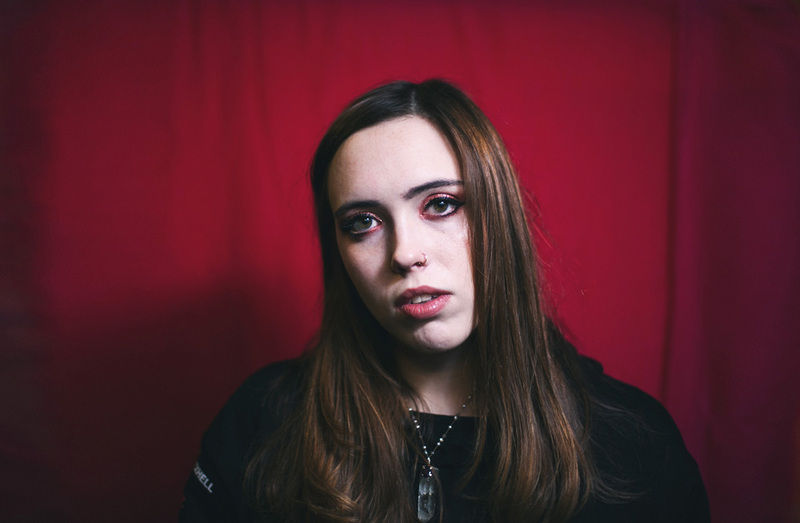 The 7″ follows on the heels of her debut album, Clean, that has already received mid-year Best of 2018 nods from the likes of NPR, Rolling Stone, Billboard,Stereogum, Uproxx, Vinyl Me Please, all giving high praise for Soccer Mommy’s debut album, Clean. There are 24 different antique sellers under the single, Uncommon Objects roof, and for Sophie Allison, aka Soccer Mommy, it was the perfect setting for her song “Wildflowers.” It was, in fact, filled with objects related to blooming flowers. The song from the Switzerland-born, Nashville-raised artist is, as I hear it, about finding your place in the world — to discover who you are and to blossom. The song is from Soccer Mommy’s album Clean which was released earlier this month on Fat Possum Records. There are 24 different antique sellers under the single, Uncommon Objects roof, and for Sophie Allison, aka Soccer Mommy, we found the perfect setting for her song “Wildflowers.” It was, in fact, filled with objects related to blooming flowers. The song from the Switzerland-born, Nashville-raised artist is, as I hear it, about finding your place in the world — to discover who you are and to blossom. The song is from Soccer Mommy’s album Clean which was released earlier this month on Fat Possum. Just over two years ago, Sophie Allison was writing melodic bedroom rock ahead of a move from her native Nashville to New York to study music business at NYU. During that time, she started to find a burgeoning fanbase on Bandcamp for her wistful demos under the name Soccer Mommy, which chronicled the harsh realities of the teenage experience. During her tenure at NYU, she began playing live shows around Brooklyn, building a presence in the DIY scene, and it wasn’t long until she caught the ears of Fat Possum (the influential independent label who’ve released records by Wavves, Youth Lagoon, and Lissie) and her life changed. Take for example her latest single “Cool”, a raucous track where Allison lilts about what it means to be the “cool girl.” Despite its initial appeal, her pursuit of the “cool girl” trope ends up creating her own unhappiness. Instead, she finds more solace in being herself. In Allison’s video for the track, premiering below, she explores “the depth beyond the image of coolness.” Playing with the idea of cool, Allison blossoms into different versions of herself, all the while interspersed with animated ice cream sandwiches, pot leaves, and crayons. She becomes one of the guys, clad in aviators and a leather jacket; a rocker who flaunts fuschia wing-tip eyeliner and a Hot Topic necklace; and a heartbreaker who chops off the hair of a Ken doll, ultimately revealing that “cool” doesn’t mean just one thing. “I was wasting all my time on someone who didn’t know me,” Sophie Allison sings in the first verse of “Blossom (Wasting All My Time).” It’s the kind of thing you can’t remember if you realized in hindsight, or a part of you knew it all along—the subtle production and the warm strums of the acoustic guitar allowing your mind to drift. “Scorpio Rising” starts out sounding like an updated version of Big Star’s “Thirteen,” before taking a sudden turn when Allison’s young Romeo changes his mind and goes for a girl that In “Flaw,” the end is her fault, though she doesn’t want to believe it. “I choose to blame it all on you/’Cause I don’t like the truth,” she sings, her clear and unpolished voice fittingly going slightly flat. Clean is the Debut album proper from Nashville based 20 year old Sophie Allison who records under the name Soccer Mommy. Following on from the critically acclaimed Collection, released in August. Clean was recorded by Gabe Wax (Deerhunter, War on Drugs, Beirut) in NYC and mixed by Ali Chant (PJ Harvey, Perfume Genius, Aldous Harding). The album is a big step up production wise, and it’s the most grown up Allison has sounded to date. For fans of Liz Phair, Frankie Cosmos, Angel Olsen and Julia Jacklin. There’s something beautifully fragile about the latest track from Nashville native Sophie Allison, AKA Soccer Mommy. It’s also the newest release of Allison’s upcoming LP Clean, and with it comes the foreshadowing of something truly spellbinding to come. The latest efforts from Allison have suggested an evolution of musical style. With the harder-hitting ‘Cool’ and ‘Dog’ Soccer Mommy looked to be adding a little grit in to her work. ‘Still Clean’ however is a return to her roots. Genteel and utterly vulnerable the emotive expression of clean, and all the innocence, susceptibility and youthful connotations it has is plucked and pranged with every string. 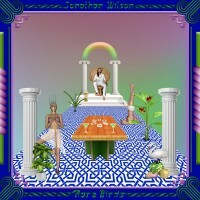 The new album, Clean, will be out on March 2nd via Fat Possum, and with every new release it cements it’s inclusion on all the end of year lists, and we’re only in February.